Last night my friends invited me to dine with them at Unbelievable. 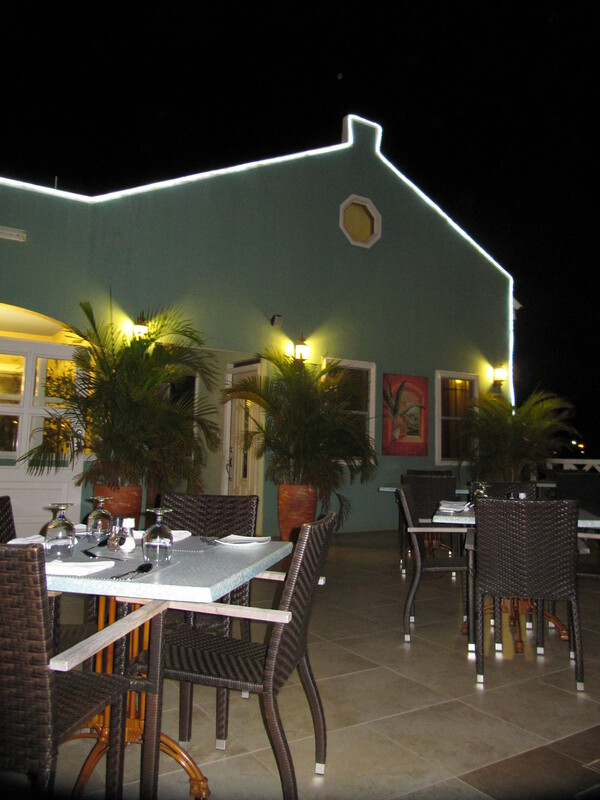 Owned by Bonairean, Robby Matthew, this Caribbean inspired restaurant was truly UNBELIEVABLE. Robby and Mary, his life partner greeted me enthusiastically. 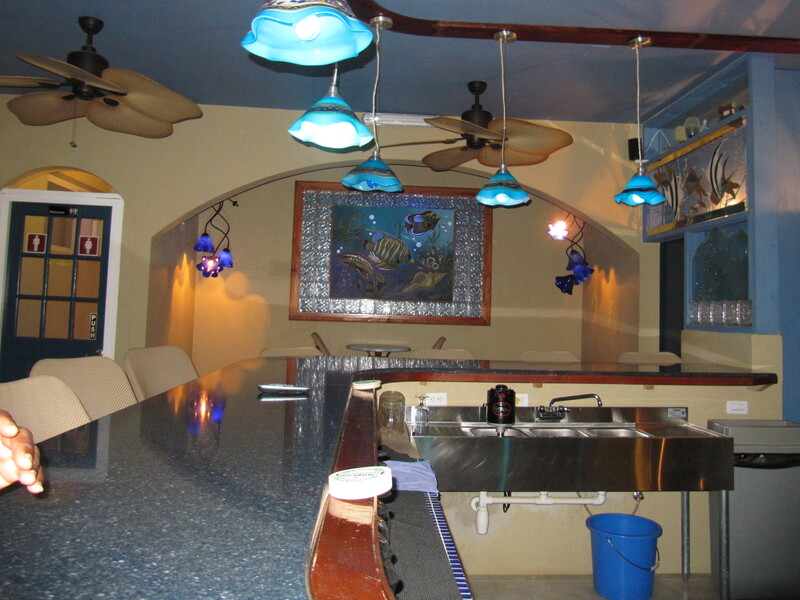 Robby has created a Caribbean oasis with amazing light fixtures, Caribbean inspired art and comfortable seating. His kind jovial personality enhances the dining experience. I was whisked upstairs to the lovely patio. The cooling breezes and views of the sea beyond under a starlit sky was amazing. My friends arrived shortly after and we were catered to by Cliff, one of Bonaire’s best waiters. He also happens to be a park ranger so don’t be surprised if you see him at Washington Park. 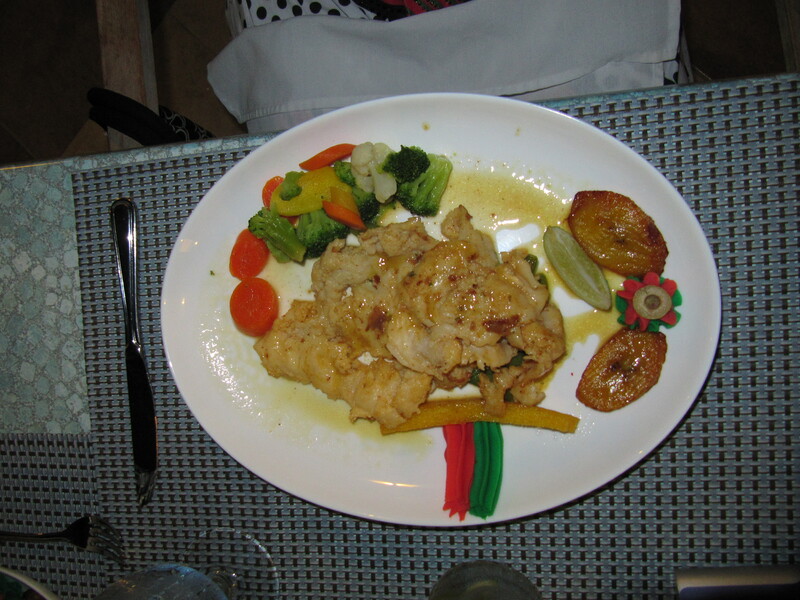 He recommended the fresh Wahoo or the Bahamian Conch. 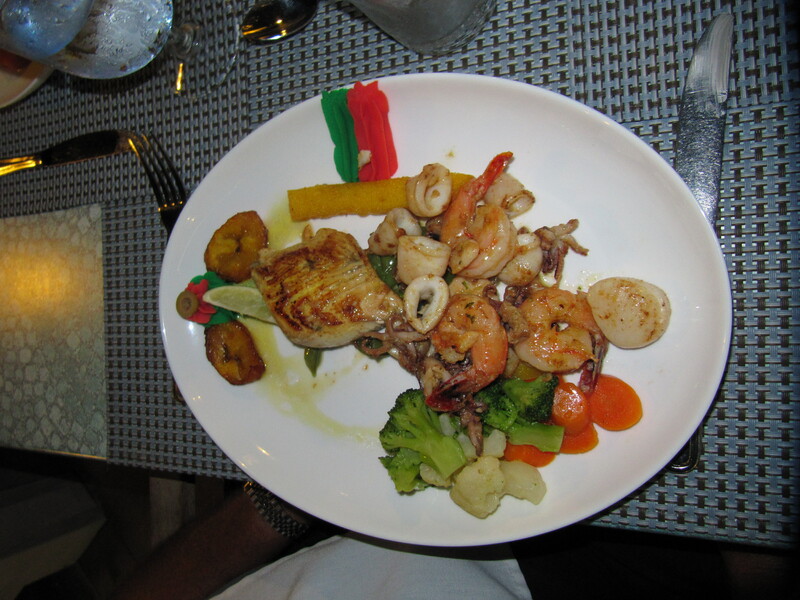 My friend ordered the mixed seafood grill and a calamari appetizer. His wife ordered the conch and I asked Cliff to surprise me. The conch app was amazing. I loved the cornmeal breading. Our entrees came and were artfully prepared and piping hot. 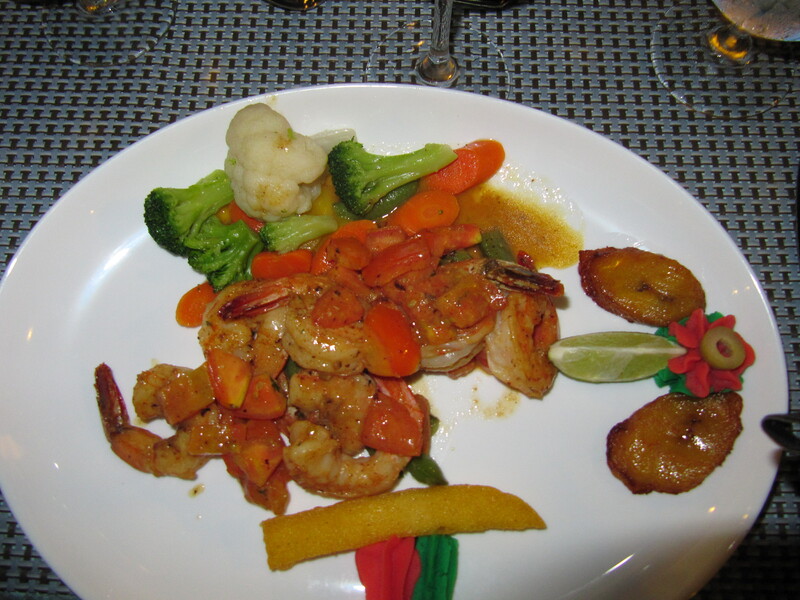 My surprise entree was the Shrimp Provencal! Everyone loved their food. The photos speak clearly to the presentation. We were stuffed but I was dying to try Robby’s house made Key Lime Pie so I ordered it to go. It was the most amazing breakfast I ever had!! Unbelievable is on Abraham Blvd. past Divi. 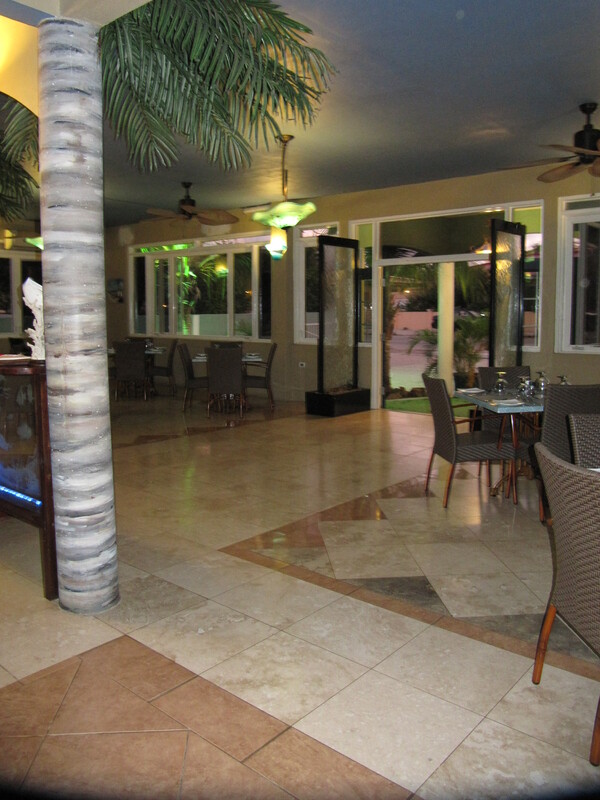 Call Robby at 717 3000 or allow Caribbean Wind & Sun’s Concierge book your next vacation and dinner at Unbelievable. This entry was posted on July 26, 2011 at 4:52 pm and is filed under Food. You can follow any responses to this entry through the RSS 2.0 feed. You can leave a response, or trackback from your own site.